The Red Sox are vastly under performing right now, and while it's hard to pin it on one part of the game right now, one of the disappointments of the season has been Rick Porcello. 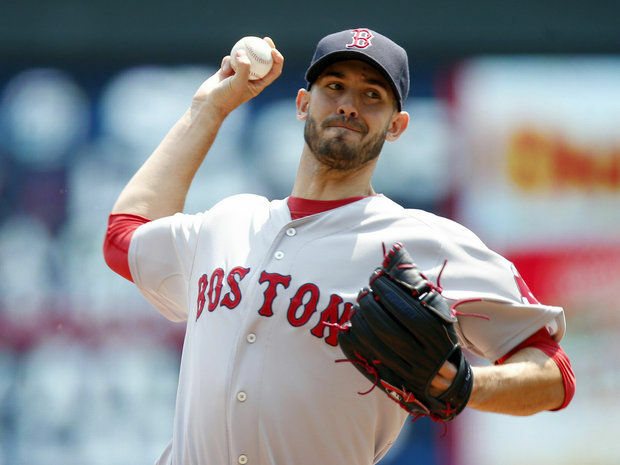 Porcello, who was given top of the rotation money at the start of the year, has a 4-4 record and a 5.37 ERA in 10 starts to this point, and a 4.70 ERA in May (historically his best month) according to MassLive.com. It's hard to pin down the Red Sox struggles on just Porcello, but after giving him an extension worth $82 million over 4 years, you would expect more than an ERA over 5 and 11 home runs to date. He's still got plenty of time to prove that the extension was worthwhile, but the numbers don't justify the contract at the moment. Porcello has also had issues with walks coming back to haunt him, and they did yesterday after he gave up 2 walks in the third that led to 3 Twins runs. Worse, that came right after Dustin Pedroia hit the first of his 2 home runs and gave the Red Sox a 2-0. When he came over here in the deal that sent Yoenis Cespedes to Detroit, he had the chance to step out of the shadow of guys like Justin Verlander and Max Scherzer and really show that he could be a number 1 or 2 started on a successful team. That is still a possibility for him, but he needs to turn it around and fast. The whole team does, but Porcello in particular needs to step up. Hopefully, he starts pitching like the guy we gave $82 mil to back in April soon.